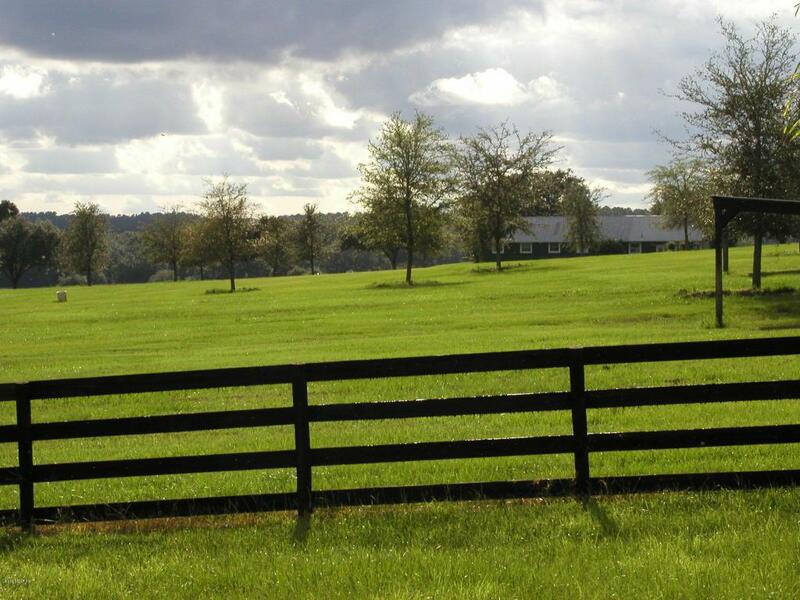 This beautiful 35.5+ acre farm is located in Central NW Ocala's prestigious Golden Corridor, nestled among many other beautiful horse farms. 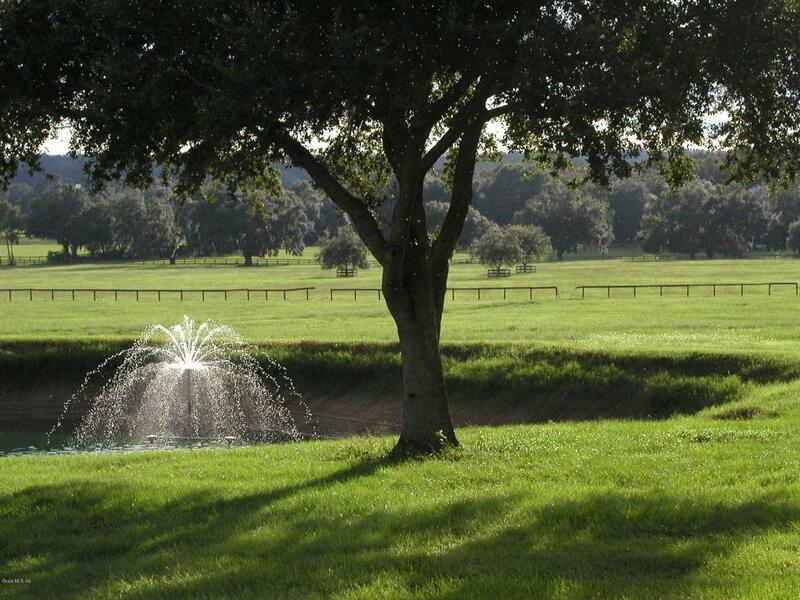 It's located minutes from HITS, Longwood, Golden Ocala, and Ocala's newest equestrian venue - World Equestrian Center! 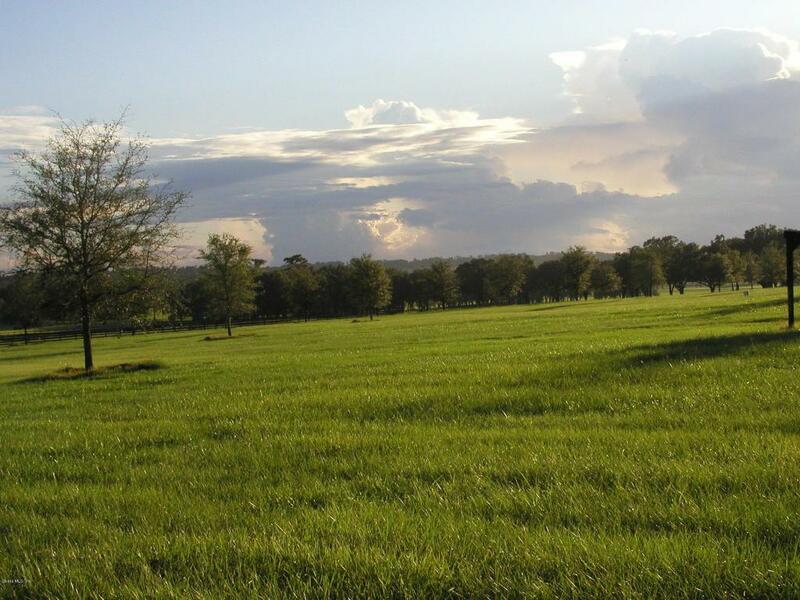 This is a prime piece of property, with gorgeous panoramic views of the paddocks of neighboring, Bridlewood. The rolling hills and pastures of this landscape are absolutely breathtaking, and represent some of the most attractive views in the area. This farm is equipped with a well crafted 12-stall, center-aisle barn that includes apartment, office, equipment and feed rooms, and wash rack. The home is delightful, and includes a vaulted ceiling, beautiful kitchen with stainless appliances and granite counters, and an adorablebreakfast nook. A screened pool is just the spot to cool off, relax, and enjoy the beautiful vistas beyond. 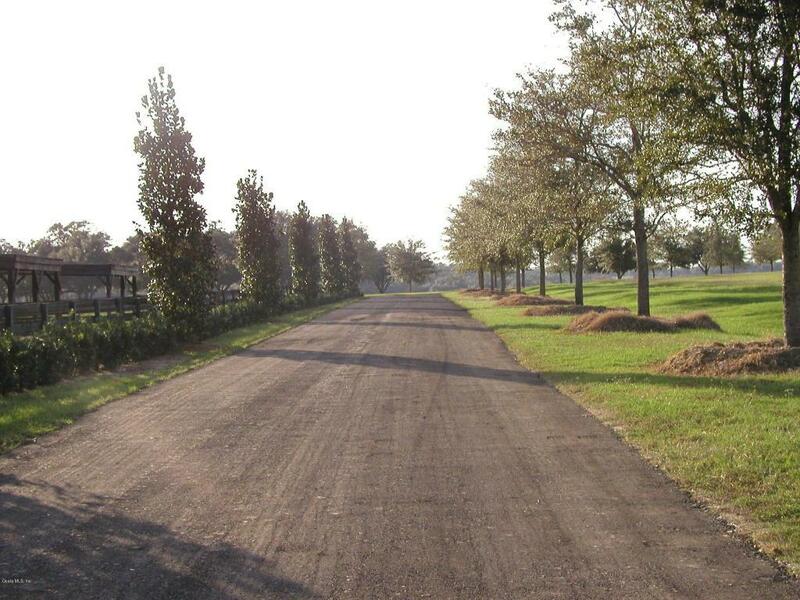 This farm is the perfect accommodation for the horse enthusiast of any discipline.